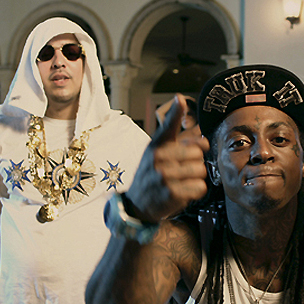 Last month, Lil Wayne drew heavy criticism from New York Hip Hop heads after the Louisiana rapper told MTV that he “flat out [doesn’t] like New York.” Now, Weezy’s “Pop That” partner and Bronx native French Montana speaks on Wayne’s recent comments. French told MTV’s News that he understands Wayne’s disdain of the Big Apple given his tumultuous legal history with the state and the debacle that occurred at Hot 97’s Summer Jam 2012. Still, French says that he doesn’t believe Wayne meant that he hates every aspect of NYC and its people; rather, he’s just speaking from an understandably frustrated viewpoint.